rifles wrote: Couple of questions for Liam if you dont mind answering. 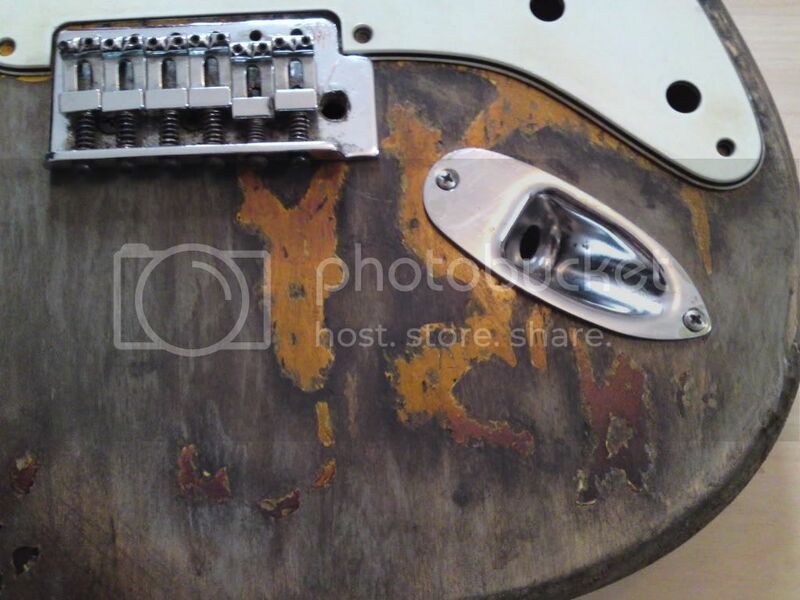 Do you have any advice as to how to darken a rosewood board to look like Rorys? I have just finished my latest rory g strat body, and i am very pleased with the results, i put some hardware and a neck on it to show how it will look when its all put together, this is the closest i have ever got to the real deal, shame i dont have any spare pickups lying around,because i really want to try it out! i will post some more photos later! Another masterpiece Liam,well done.How's it goin for you in Germany? thanks guys, germany is good, liking Berlin alot, been on the hunt for blues rock venues, but not having too much luck, such a big city,so hard to know where to go! Talking about the Custom Shop Fender Strat, is it known how many Fender makes each year? 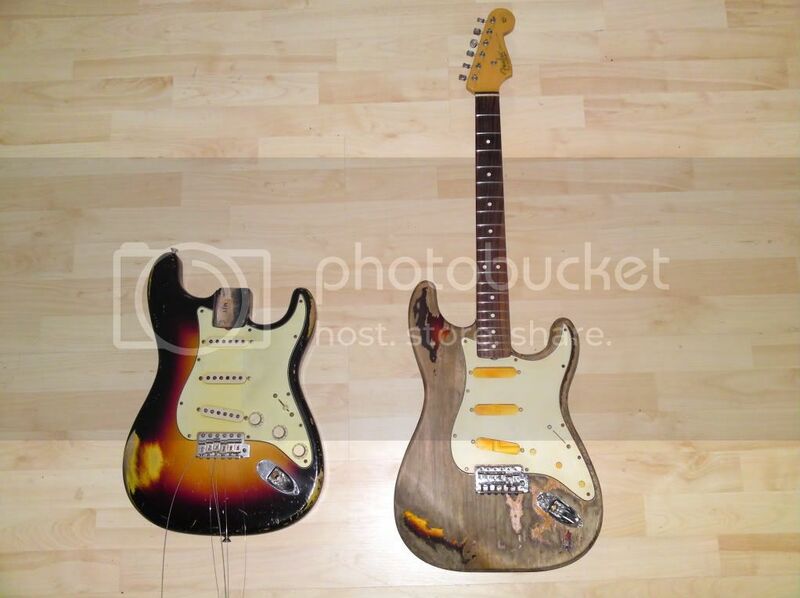 Looking at Rory's '61 Fender sunburst strat over the years.. I've noticed that the first 15 years 1963 - 1978 the paint and wear and tear was worse. Than the 15 years after 1978 -1994. You would have thought how the paint was coming off and deteriorating. 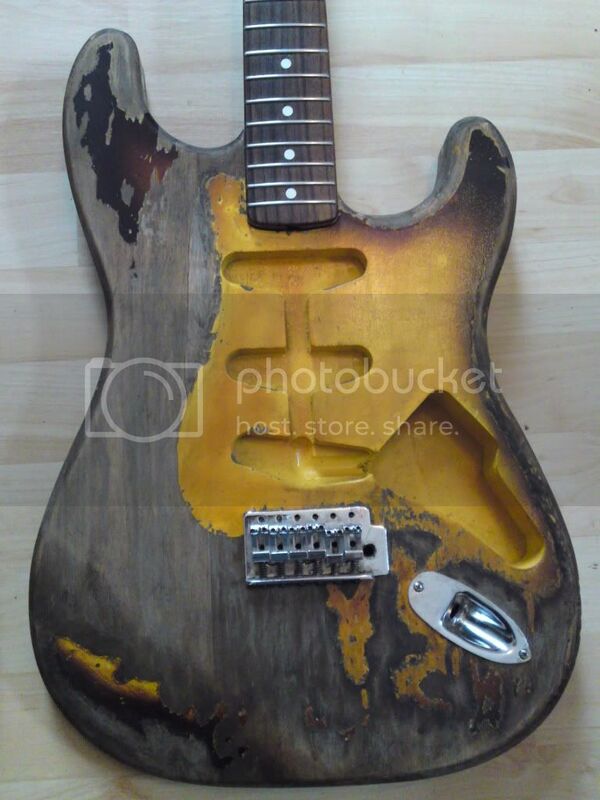 Rory's '61 sunburst would have had no paint finish at all by the 1990's? 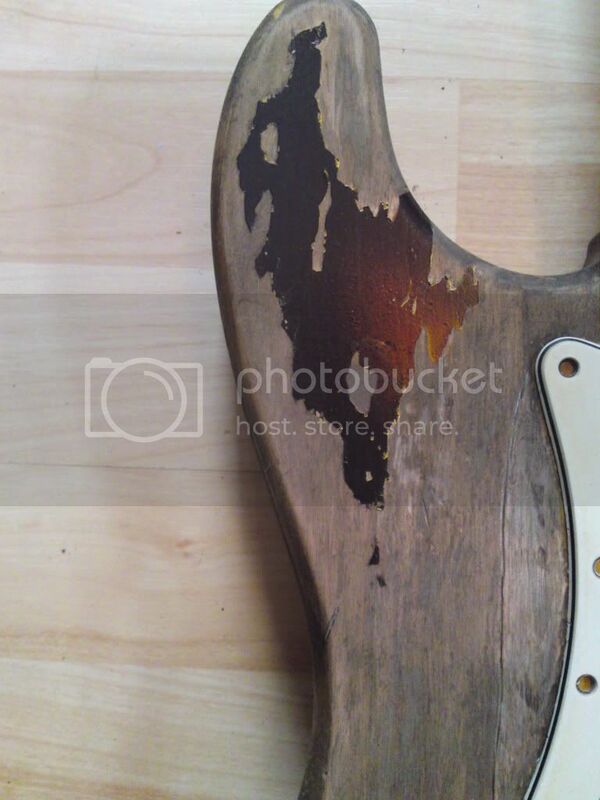 I don't think Rory ever had any varnish put over the strat or any wood treatment to preserve it from 1978 on wards, or did he? ?